Listed below are important Questions and Answers that consumers should be aware of before the purchase of a commercial grade storm shelter. How long have you been manufacturing and installing storm shelters? Southern Illinois Storm Shelters, Inc. has been producing and installing shelters since 1998. Has your storm shelter been tested at Texas Tech University Wind Engineering Institute and if so what were the results? In September of 2001, Southern Illinois Storm Shelters, Inc. had designed a door system that was subject to debris impact testing at TTU and was certified (supporting documents available upon request). Have you ever had any storm shelters leak if guaranteed against and if so how many, and what did you do to correct the problem? Ask if you can speak to a few individuals whose shelter was repaired or replaced. Southern Illinois Storm Shelters, Inc. has had 5 storm shelters leek since production in 1998 this is less than 2 percent of overall production of our product. All shelters were replaced with new models. References available from these customers. Southern Illinois Storm Shelters, Inc. stands behind its products! Has your shelter been designed with the help of a qualified engineer? Southern Illinois Storm Shelters, Inc. had extensive help in design and development from a local University School Of Engineering on our new design. Even though your shelters have a guarantee are they manufactured with materials that will rot such as wood? Southern Illinois Storm Shelters, Inc. manufactures all cored areas such as floor and door with a space age honeycomb plastic. Have you ever had a shelter installed where a tornado has struck? 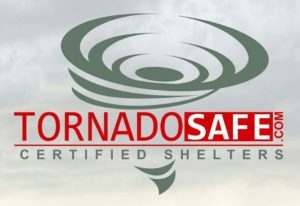 In April of 2011 6 years after installing a Lifesaver Storm Shelter, a customer in Tanner, Al., along with 7 other occupants was in their shelter when an F5tornado struck, the shelter showed no signs of damage and its occupants were not harmed. Some shelter companies do not manufacture their own products, instead they outsource the work. When outsourcing your product, it is sometimes difficult to maintain quality, be sure to ask. At Southern Illinois Storm Shelters, Inc. we manufacture 100% of our products. Have any independent tests been performed such as bend tests or a BURN tests? Yes, Southern Illinois Storm Shelters, Inc. has had tests performed by an independent government class testing Facility. The results were amazing. Results available upon request. Some competitors say fiberglass is old technology and is not a superior product. If you have any other questions or concerns please contact us and we will be glad to address them. Thanks. We’ll be in touch with you. Click here to start your loan application process. Please let us know what storm shelter you are interested in. What Type of Storm Shelter Would You Like?